While I’ve been a bit behind my weekly schedule with my previous blog post – which has been delayed by a couple of days – today I’m almost on time with an actual astronomical event. And speaking of time, it’s truly about time to dedicate an entry to one of the most important Czechoslovak acts of the seventies, Martin Kratochvíl‘s Jazz Q. Despite the group’s name, their importance didn’t manifest only on the jazz side of things, of course. Like many other 1970s Czechoslovak combos oriented to jazz, at times they were able to supply a heavy dose of rock to the starving audience as well. And actually it’s not even the first time you’re hearing Jazz Q on this blog, they were already backing Helena Vondráčková last December. Jazz Q was founded in 1964 by keyboarder Kratochvíl (1946) with flutist and saxophonist Jiří Stivín. In the beginning they inclined to free jazz. The group was even quite successful internationally, both Kratochvíl and Stivín won a couple of festival prizes in the late 1960s. But while Stivín wanted to continue with his free work, Kratochvíl decided to switch over to the progressive rock camp. After all, he spent the years 1967-1968 in England where he visited a lot of pop festivals, experiencing acts like the Doors or Jimi Hendrix. Still with Stivín, Jazz Q recorded their first Supraphon LP in 1970, Coniunctio. That was a collaboration with Radim Hladík’s reduced Blue Effect who had just kicked their singer Vladimír Mišík out of the group. The album came out pretty weird. Jazz Q already tried to move closer to rock while Blue Effect were sort of searching for the way out of it. All at the same time. And though one might assume that both groups would meet somewhere in the middle, they didn’t. Stivín then left for a stellar solo career and Kratochvíl rebuilt his group from the ground up. His 1973 effort Pozorovatelna (The Watch-Tower) has been recorded for Panton with ex-Framus 5 Luboš Andršt on guitar and the young talented bass guitarist Vladimír Padrůněk (later with Mišík’s ETC, then again with Jazz Q). Only few months later Kratochvíl began to work on a new Supraphon album with ex-Flamengo blues specialist František Francl (1946) on guitar and his English wife and vocalist Joan Duggan: Symbiosis became one of the darkest reflections of the Czechoslovak normalization era and it’s definitely worth another “czech-in” in the future. Slunovrat (Solstice) is the opener of Elegie (Elegy), Jazz Q’s fourth album. Clearly inspired by big names in funk-jazz and fusion, Kratochvíl excels on Fender Rhodes and Moog, Francl plays a sparse but effective rock guitar, while bassist Přemysl Faukner (1952) with drummer Libor Laun (1951) are cookin’ it tight and funky. The other seven album tracks also feature several special guests like ETC’s violinist Jan Hrubý, Impuls’s Michal Gera on trumpet or the ubiquitous Jiří Tomek on conga. In 1977 Kratochvíl spent a year at the Berklee College of Music. Back from the States he continued to perform and record under the Jazz Q flag until 1984. Besides making instrumental albums he also used to work with various singers: Jana Kratochvílová, Jana Koubková, the aforementioned Helena Vondráčková, Martha Elefteriadu or with ex-Marsyas Oskar Petr. Jazz Q reunited another 20 years later, in 2004, and they are still performing these days. The recent line-up features only one “new” member, the Impuls guitarist Zdeněk Fišer. (Francl had to give up playing guitar in the 1980s due to a hand injury. He’s still active as a recording producer though.) Faukner is back on the fretless bass, Jaromír Helešic already played drums on Zvěsti (Tidings) and Paprsky (Beams) in 1977-1978. And on vocals there’s Oskar Petr again who returned from his U.S. exile to the Czech Republic in the 1990s. 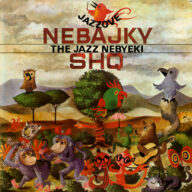 Regular Jazz Q albums are available as second hand vinyl only, so czech out your online sources. Some tracks from Elegie also appeared on several English and German funk-jazz/fusion compilations.